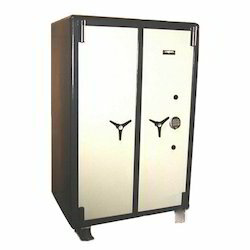 The entire body of the safe is made from thick steel plates with the latest steel bending techniques. Made of multiple bends with fully welded construction it forms a solid rivet-less block. The inner lining is made from thicker steel plate than the outer body for enhanced safety lockers. - size 24x18x18 weight approximately 190 kgs. We offer a wide range of digital safes, security safes which are useful for safely keeping & securing cash, jewelry, expensive electronic gadgets, important documents, certificates and other valuable items. 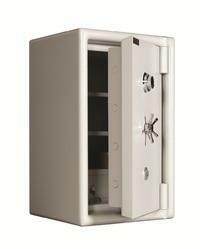 It also feature emergency access override key to provide added protection to the valuables.